The NeuSonic is a new mid-range offering from Ludwig, crafted in the company's Monroe, North Carolina, factory. The drums feature blended Maple and Cherry shells, lightweight hardware, tough formica finishes, and are available in two three-piece shell packs. The NeuSonic kits will be available for $999 USD, making the drums the only U.S.-made kit available for less than a grand. The popular Heirloom series snare drums see a new brass model, available in 5.5x14" and 7x14" sizes and featuring the same flat imperial lugs and script-logo engraving as its stainless steel counterpart. 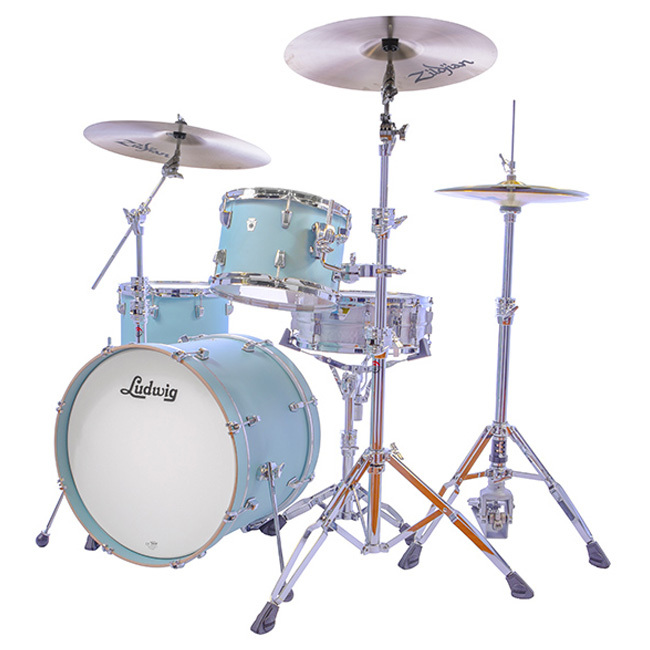 Ludwig’s Silver Dot heads—popular with drummers in the ‘70s and ‘80s—are also set to return this year. Large reinforcing patches on the heads offer increased punch and focus, with an exciting retro visual appeal.